Tina Kohlmann’s artistic practice integrates installation, sculpture, performance and the use of objects. 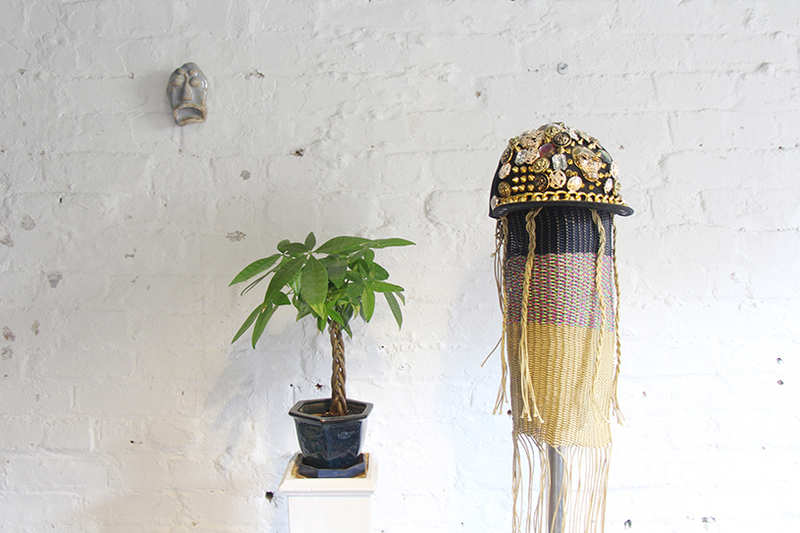 Her work is influenced by an interest in ethnological artifacts, nature and science, as well as costumes and fashion. Through her work, she moves between object and metaphor and playfully undermines aesthetic value systems. Kohlmann’s installations engage with various working methods and techniques. She employs precise analytical observation to question subjects of interest such as the differentiation between arts and crafts, hobby and play or mysticism and esotericism. These streams of questions are collected by the artist within the location of the installation which forms it’s own particular time and space bringing forth environments which expose emotions, and the search for a heightened state of exaggeration, glamour and serendipity. In addition to her artistic practice, Kohlmann is a founding member and curator of Szpilman Award, an award which focuses on ephemeral art.